Tokyo market gold daily; the lower limit seems to have going upper. The market price dropped the notable price zone. Our conclusion is “normally support point is 4250 point around and major support point is 4000 point around”. Our scenario is based on our report “NY Gold Long term; autumn will be a good opportunity to buy” (05/19/2016). We can know 4250 point worked as the major support point. 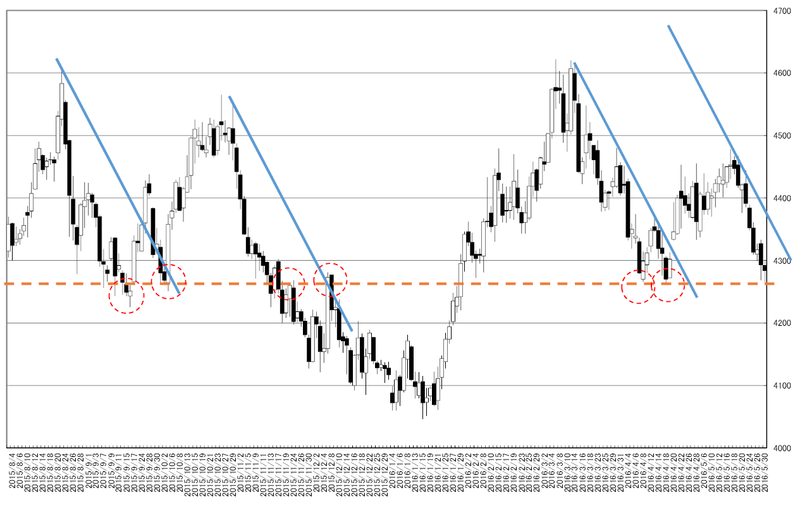 We can know the latest support is normally support zone and it often became double dip. 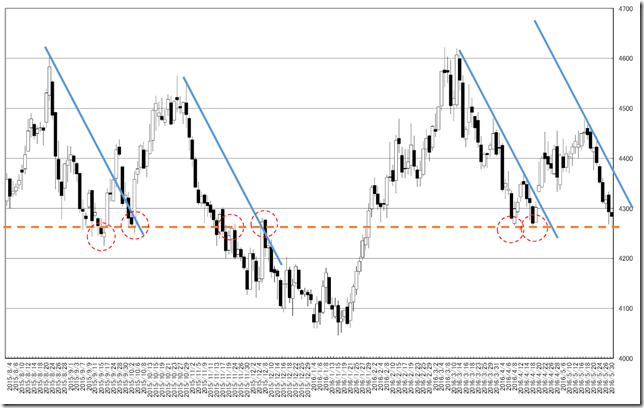 And going lower than this, we can know this is “the lucky zone for buying”. 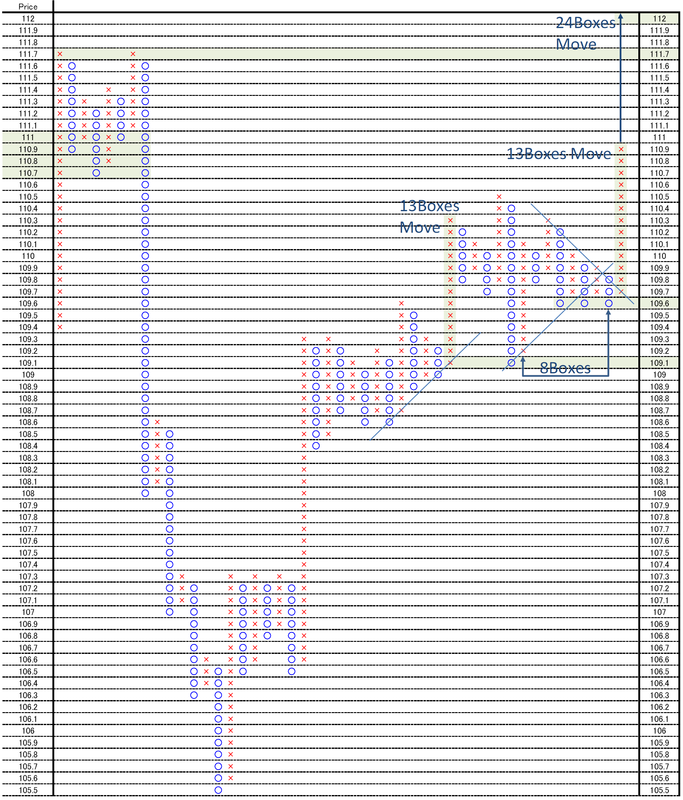 In P&F chart, cutting 45 degree resistance means bull market start. And now is the chance for seeking the next buying point. 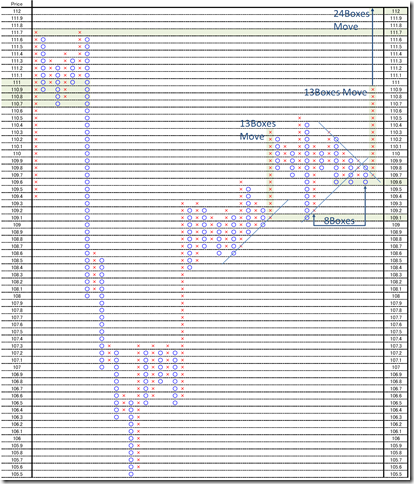 USDJPY hourly P&F; Upside breaking; target is 112.00yen and resistance point are 110.90yen and 111.70yen. This market is breaking from 8 boxes steadiness. There are three resistances; 111.70yen (Double top point), 110yen around (last supported point) and 110.90yen (vertical 13 boxes move). The support points are 109.60yen and 109.10yen.